This kitchen by Kitchen Culture oozes custom features which make it very special and a prime example of what an adequate budget can achieve. 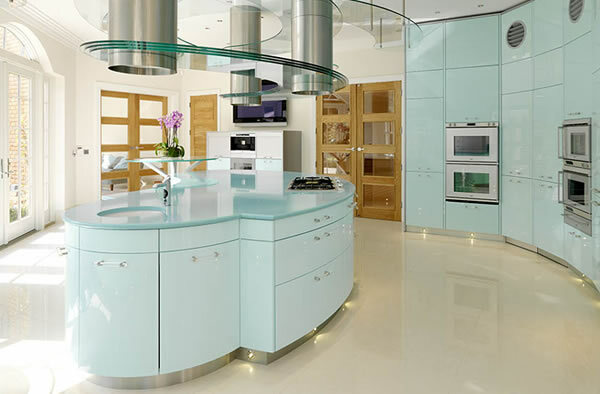 The pale palette is bold and the sheer number of units (and handles) impressive but this kitchen design is made fantastic by the curves, custom extraction system and the metal work! 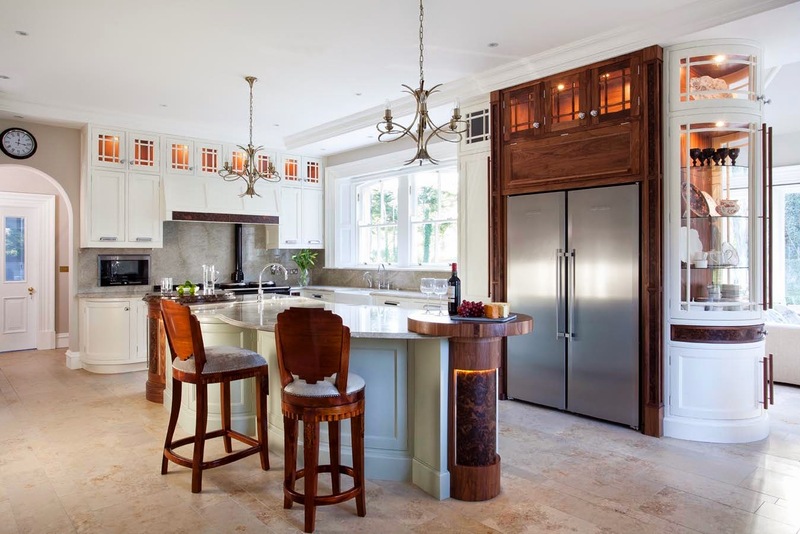 The curve on the island is impressive and allows the kitchen to eat into the architectural expanse, which is made even bigger by the very high ceilings. 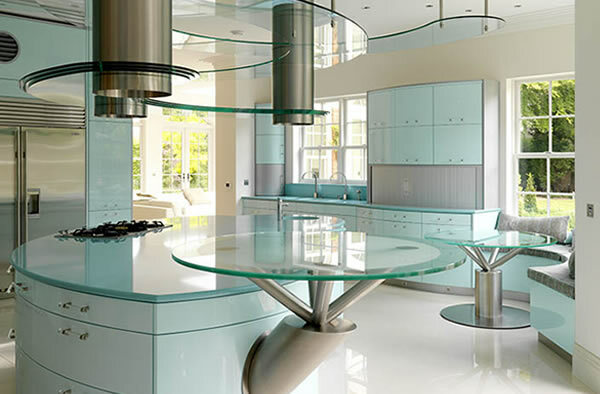 This ceiling height is distracted by the fantastic cylindrical extraction system which has been linked by layers of glass that follow the contour of the island beneath! 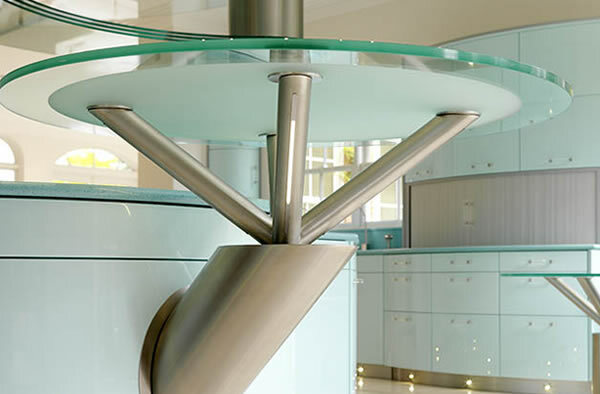 But the real show stopper here is the bespoke metal work which reaches from the island allowing the casual eating area to float effortlessly in the air. The custom metal fingers spread wide just like a those of a butler carrying a tray. This feature is absolutely beautiful and captures the very essence of this design!